Portrait of blonde woman doing shopping in pharmacy. What to choose: Tylenol or acetaminophen? Advil or ibuprofen? When it comes to choosing medicines, a lot of people prefer branded over generic. Generic drugs cost significantly lower than branded drugs. This reason alone should be tempting enough for consumers to choose generic drugs, right? But nope. In fact, it makes people even more hesitant and suspicious about buying generic drugs. As a reputable low cost pharmacy in Seminole, allow Longwood Pharmacy to explain the reasons why you should not be afraid of buying generic medicines. The United States Food and Drug Administration (FDA) strictly regulates the production of generic drugs. Before generic drugs (both over-the-counter and prescription) can be sold to the public, manufacturers are required to abide by the rules and regulations issued by the FDA. To ensure continuous compliance with the rules and regulations, the FDA inspects thousands of manufacturing plants every year. In case there are reported incidents of negative side effects, the FDA takes immediate action on the matter. Generic drugs work the same way as its brand-name counterpart. Every generic drug uses the same active ingredient as its brand-name version. This simply means that generic drugs and branded drugs are similar in dosage, effectiveness, and quality. In most cases, generic drugs are also required to be taken and used in the same way as its brand-name counterparts. The differences (if any) are not relevant at all. The FDA allows generic drugs to be different from its branded version—but only with regard to its inactive ingredients, the packaging design, and the physical appearance of the tablet. What do we mean by inactive ingredients? These refer to the components of a drug that do not produce any therapeutic effect. Examples of these ingredients are dyes, flavorings, preservatives, and binding materials. Generic drugs are required to be tested for bioequivalence. Manufacturers of generic drugs cannot just claim that their drugs are the same with its brand-name versions. The FDA requires them to have their drugs tested for bioequivalence. How? Every generic-drug manufacturer must be able to demonstrate that their drugs can be effectively substituted as its brand-name counterpart. Meaning, they have to test their drugs on a number of subjects. Generic drugs cost significantly cheaper than branded drugs. This should close the deal. But to erase any suspicion you have as to why generic drugs are sold cheaply, let us discuss it. Making a new drug is expensive. Brand-name drugs fall into the “new drugs category.” They are the first drugs to be produced. Thus, pharmaceutical companies producing branded drugs have to pay for research and studies, large-scale drug testing, as well as for advertising, marketing, and promotion. Generic drugs do not have to undergo any of these. Just a friendly reminder, always be careful when buying your medicines, both generic and branded. 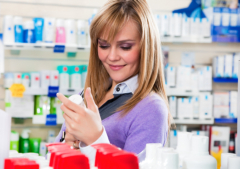 To ensure safety, make your purchases from reliable pharmacies, like Longwood Pharmacy. We are an affordable pharmacy in Seminole. For more information, feel free to hit us up! This entry was posted in health care and tagged Generic Medicines, Medication, Pharmacy. Bookmark the permalink.